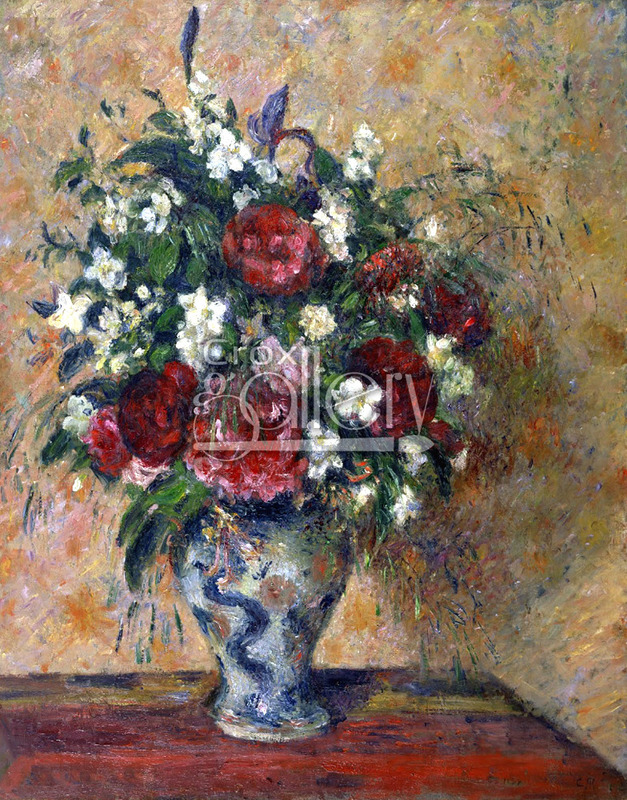 Oil reproduction of "Still Life with Peonies and Mock Orange" by Pissarro. 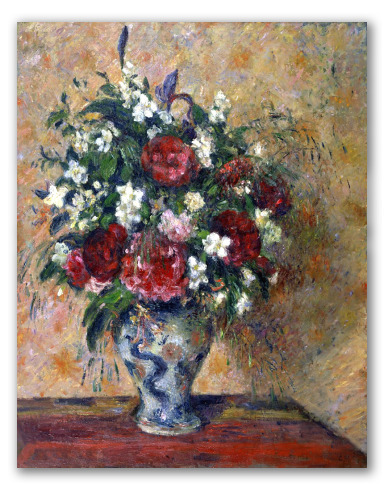 This is one of Camille Pissarro's few remaining floral paintings and it was painted in five years (1872-77). The impressionist style of the painting is very noticeable and the fine, extended and curved brushstrokes are reminiscent of sketches made by Pierre-Auguste-Renoir. This work is currently found at the Van Gogh Museum, Amsterdam.